3.25 inches dia. 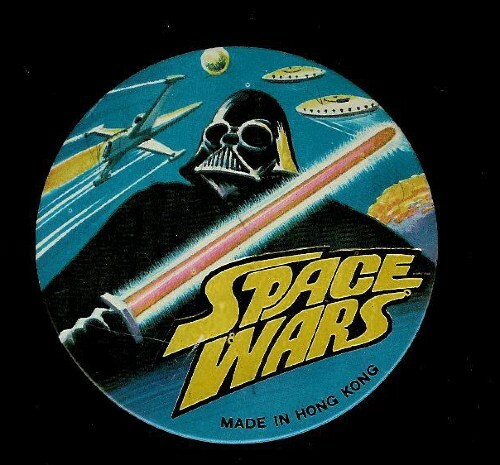 Clearly an unabashed rip-off of Darth Vader and an X-wing, this badge is actually a tin litho allegedly made in Hong Kong. Distributed in Australia, probably 1977.